I fancied doing some water colouring, so broke out my new(ish) set of Derwent Inktense pencils that my hubby bought me for my birthday last month. They are a dream to use, really love them. If you have been dithering about buying them – get them off Ebay, they are CONSIDERABLY cheaper than online shops, he saved around £50 for the 72 set!!! Flowers, lace and seam binding are all from Wild Orchid Crafts. Flowers used are Cottage Rose, Cosmos Daisies, Open Roses in 20mm 15mm and 10mm sizes. Welcome to Day 5 of our March rubber stamp & die release! 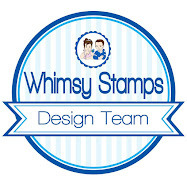 Whimsy Stamps are releasing a fabulous selection of new rubber stamps, clear stamps, shapeology dies and papers this month. Today the Whimsy DT is holding a blog hop to share sneak peeks of some of the brand new Sentiment Sets and Shapeology Dies. 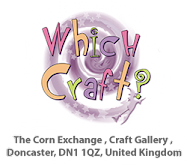 The entire new release is now available to buy from the Whimsy Stamps store. We have hidden FOUR prizes of 2 new release rubber stamps somewhere on the DT’s blogs throughout the 5-day release event. As the location of the prizes are secret, be sure to leave a comment on ALL the stops on each daily blog hop to maximize your chance of winning! We will draw the lucky winners over the weekend and announce them on the Whimsy blog on Monday (March 24th). For my card today I have used the super cute Mary by Wee Stamps – love this little cutie pie! And check out the fabulous sentiment I have used from the Mini Chalkboards sentiment set designed by our Simonne! Now I know I didn’t use the chalkboard colour but I think it looks just as good stamped and embossed on patterned paper. LOVE this set, it is going to get so much use. This week at Wild Orchid Challenge it’s all things Wings. So I dug out this super cute Sympathy Bugs stamp from Whimsy Stamps and also used a metal butterfly for my wings bit. The delish papers are new from Nitwit Collections – Truly Madly Deeply collection (I used the Bundled Kit). The sentiment is also from the kit. And the flowers and seam binding are from Wild Orchid Crafts. I used a Trellis Rose, cosmos daisies, open roses in 10 and 15mm.